A highly-regarded contacted lens fitter has revealed how his services are now in great demand after he began making the products at just seven years old. 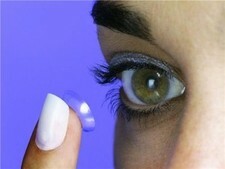 Robert Sanger, of Sanger Contact Lens Centre, told Oakville.com that he used to read through a mirror until he was seven years old, at which point his family realised he needed glasses. Instead of opting for this form of vision correction, however, he began crafting his own contact lenses. By the age of 12 he was manufacturing them in great numbers and after picking up a degree in Electronic Engineering and Computer Programming he now owns his own centre, where his lenses are sought far and wide. According to the expert, he specialises in making and fitting gas permeable lenses for people who cannot wear soft lenses, such as those with abnormal eye shapes and astigmatism, and will continue to provide the service as long as he enjoys it. Recently, a report issued by iData predicted that, in the US alone, the contact lens market is expected to reach over $4.6 billion (£2.9 billion) by 2017, something the organisation attributes to the popularity of products such as soft lenses and daily disposables.